Old books are not necessarily valuable. Nor are old Bibles, unless owned by some important historical figure. 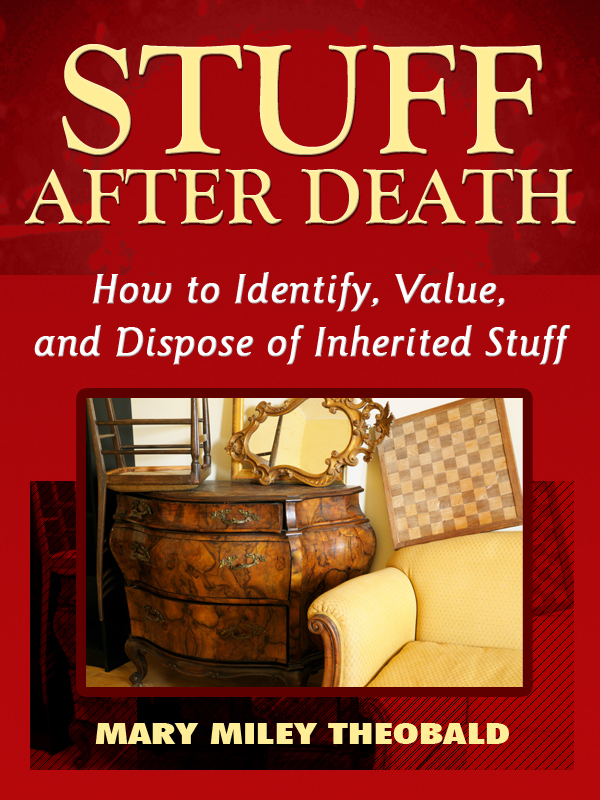 Those who inherit the contents of most homes will find a Bible or two on the bookshelves. Some people are reluctant to throw away a Bible, especially if it is old, but in most cases, it has no monetary value. If there is any genealogy information written inside it and someone in your family has an interest in charting the family tree, make sure to offer it to him or her; otherwise, call your state library or county historical society to see if they would like to have it for their genealogy collection. You can also look online for buyers who are interested in genealogy. EBay is one possibility; for another, google the word “genealogy” and the last names listed in your Bible to see if you can connect with some interested researchers. If the Bible is in a language other than English, it is less likely to have monetary value and you will have a harder time selling it online. Some very old Bibles may have monetary value. What is “very old?” Older than you think. Those dating from the 1900s or 1800s are very common and therefore not desirable to book collectors. If they date from the 1700s and earlier, they might have some value. Books of that era, however, may not have a publishing date on the front pages, so if you suspect your Bible is that old and don’t see any indication of date, you need to take it to a rare books dealer for expert opinion. You should not have to pay for a quick-glance opinion, but you would expect to pay for an appraisal. Consider donating an 18th-century-or-older Bible to a museum–you can take a deduction on your income taxes for its appraised amount, or, if you haven’t had it appraised and don’t want to spend the money for an official appraisal, do one yourself by finding similar Bibles for sale online and seeing what they sold for. Average a few sales and you have a reasonable value to declare. Always ruffle the pages of a book before you sell or toss it. As crazy as it sounds, some people stash money, bonds, or important papers between the pages. You can swap paperbacks you don’t want for other paperbacks you do want through online book exchanges such as www.paperbackswap.com. There is no charge. You log in your books by their ISBN number and when someone requests it, you can request one you want. You pay only outgoing postage; postage for books sent to you is paid by the sender. Virtually all estates will include books. Which are valuable and which are throwaways? Whether you are breaking up an entire private library full of antique, gold-embossed, leather-bound volumes or dealing with a few boxes of dusty old paperbacks in the attic, there are often several generations of books in a household, handed down over the years. Some may be rare or collectible. Most will be neither. For some people, books are precious in their own right and throwing them away is heresy. Fortunately, many of the books you inherit can have a future if you can take a little time to deal with them. A rule of thumb—paperback books seldom have any monetary value, but hard covers, especially if they are first editions or have local interest, are in decent condition, and have original dust jackets, can surprise you. Leather-bound books have value, even if it is only the cosmetic sort. Interior decorators often buy these for their clients. If the estate includes a lot of hardcover books, call a local book dealer to come to the house to browse for valuable volumes while they are still on the shelves and easy to see. You’ll find such people listed in the Yellow Pages under “Books” or online at www.abaa.org. Look for someone who advertises that he buys old books, not national chains like Barnes & Noble. Your local book dealer is interested in hard cover books, old and new, and will make you an offer on the ones he can re-sell. Throw out or recycle obsolete textbooks, old encyclopedias, phone books, and Reader’s Digest Condensed Books. Box the rest and deliver to the local public library. The librarians won’t want many of your books for their own shelves, but most libraries have a support group called the Friends of the Library that sells donated books for a dollar or so and uses the proceeds to buy current titles. Libraries may accept some new hardcover books—say, less than five years old—for their own shelves. Small community libraries in rural areas are more likely to appreciate your donation than larger, better-funded institutions. Some libraries resell books to a group that comes by periodically to examine all donations for Internet sales potential. Even the books no one wants are usually recycled for their paper content rather than sent to the landfill. 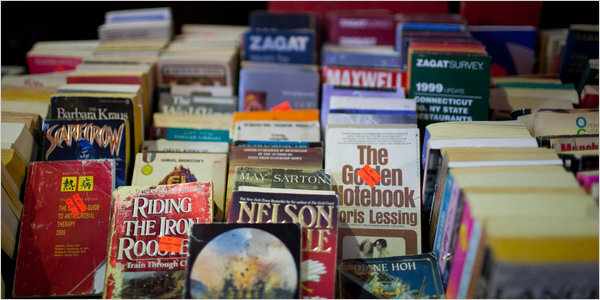 Goodwill, the Salvation Army, or other local charitable service organizations will accept used books for resale (not the categories listed in the previous paragraph). Large print and audiobooks of all sorts are eagerly received by nursing homes and retirement centers, especially the publicly funded ones that have little left in their budgets for amenities. Call these institutions first to make sure they are equipped to accept donations. If your loved one was living in a retirement community when he or she passed away, that facility may have a library for residents that would accept some of your books. A historic house museum might appreciate books that date from the same period as the house for use as exhibits on their shelves or as research material in their library. If you find a book you think might be valuable, check to see whether it is a first edition. This is a bit more complicated than it sounds, as the first edition means the first printing, and there might have been more than one printing in the first year. A little research helps: books such as First Editions: A Field Guide for Collectors of English and American Literature can give you information to help you determine whether you have something valuable. But characteristics other than first edition status determine value. Does your book have its original dust jacket? Was it signed by the author? Is its binding broken? Are the pages stained, folded, torn, or marked up with pen or pencil? Is it a book club edition? Bookman’s Price Index, Huxford’s Old Book Value, and other price guides tell you what similar books have sold for recently. You might find those in a large public library, but more probably in a university library. Another way to look up current prices is to use www.bookfinder.com, www.alibris.com, www.abebooks.com, www.biblio.com, www.abaa.org, or www.addall.com to see what your book is selling for online. How Much Are These Comic Books Worth? Earlier this year, a Detective comic book from 1939 sold for over half a million dollars at Heritage auctions in Dallas. But—and there’s a big “but” here—it was rare, in perfect condition, well preserved, and professionally graded. It made the news precisely because it is so unusual. If you are a do-it-yourself kind of person, you can find comic book price guides in some libraries or for sale in bookstores, comic book stores, or on amazon.com, or at http://www.comicspriceguide.com. There are lots of websites specifically devoted to selling and trading comic books: http://www.comicbookresources,com, http://www.mycomicshop.com, http://www.midtowncomics.com, are just a few. Selling them on eBay is another way to dispose of these if you have the time and patience to sell them one by one, assuming you’ve accurately researched the value. Trouble is, the market price is very dependent on condition. A little tear on one page, a coffee cup ring, rusted staples, or folded pages can alter the price considerably. 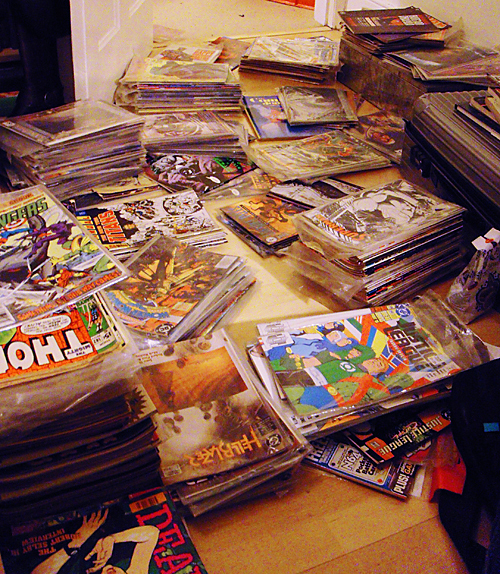 Having your comic books professionally graded can help you sell them. CGC (Comics Guaranty Company) does this for a fee and it’s not a trifling amount, so you wouldn’t do it for any old comic. Only the ones you believe are genuinely old and rare. See http://www.cgccomics.com for details. A general rule of thumb is that comic books printed after 1980 have no significant value. There are just too many of them around. Most shops and collectors are looking to buy those that date earlier than 1969. And the first comic books came out in 1938, so none are older than that.